DoorQ.Com | JUDAS KISS: First look! Behind the scenes! Home / Features / JUDAS KISS: First look! Behind the scenes! 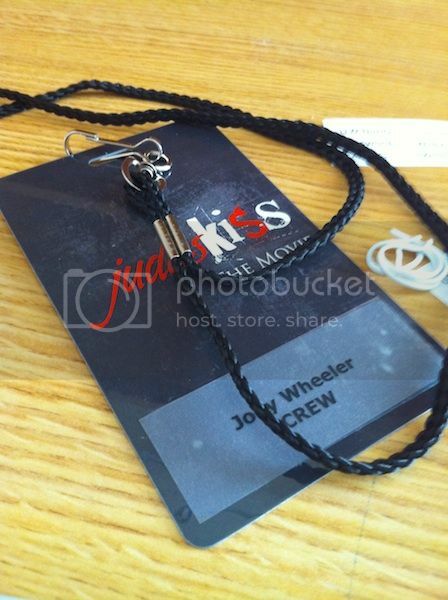 JUDAS KISS: First look! Behind the scenes! So you doorQs wanna see some of JUDAS KISS? Embeded below is a behind-the-scenes micro-doc of the making of JUDAS KISS. Filmed by our wonderful documentarian Matt Bucy (or as I like to call him, M’Bucy…I’m such a geek), the footage contains a peek not only at the crew and creatives, but also the actors in character, running through their scenes. In other news, post-production continues, with the film currently being edited right down the street from me. Sound design, visual effects, color correction, soundtrack, the score and other aspects of its completion are either prepping, pending or already underway. The post-production timeline is scheduled for about six months, which means we plan on the film being ready for exhibition at film festivals around the world starting in Spring 2011. If you’d like to get the film in your local gay film fest, be sure your organizers know your desires at the earliest and appropriate opportunity! I think it is fresh, vivid, kind and perfect. Did I see JT in there? Hi, JT! I am so doing the happy dance! Happy Happy Joy Joy. OoOooOooo I can’t hardly wait!!!!! Joey Wheeler? From Yu-Gi-Oh? Is someone really named that? I was thinking along the lines of “M’Benga” from TOS. Or like the name of a strange, horrible alien being… like Ctharlos.